What is it? "A cream made from pure lanolin only from New Zealand lamb wool, purified with German technology. Lanolin combined with multi-vitamins from eight types of berries provide comprehensive care for the skin: moisturizing, whitening and anti-oxidizing. 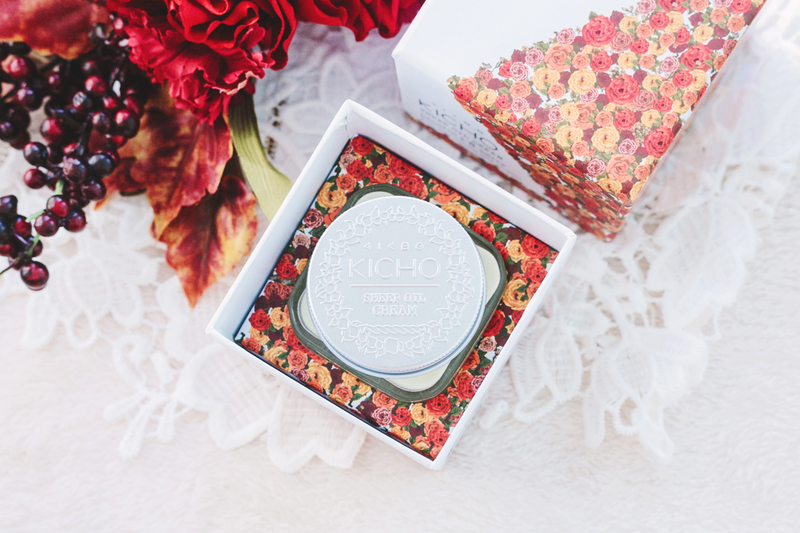 Soothes irritation, provides moisture, corrects tone, and firms skin." Not gonna lie, when I first read the product name, I got a bit freaked out. My initial thought was, "It isn't actually oil made from sheep, is it??" With a bit of research, I learned that this is actually made from lanolin, which is taken from sheep wool, and not actual sheep body parts! 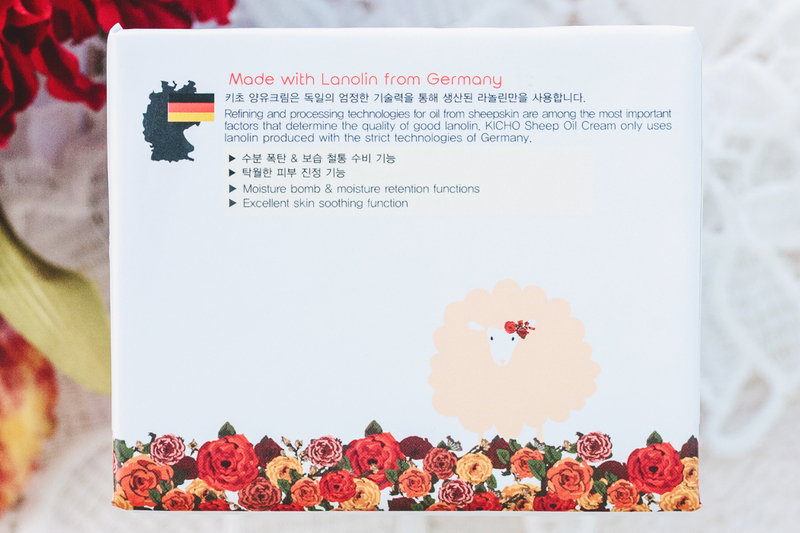 Lanolin is soft, yellow, waxy substance secreted by the sebaceous glands of wool-bearing animals, and lanolin used by humans comes from domestic sheep that are raised specifically for their wool. Its purpose is to waterproof and protect the sheep's wool and skin. Because lanolin is very similar to the sebum produced by our own skin, it is used in skincare products for its soothing, moisturizing, and moisture-retention properties. 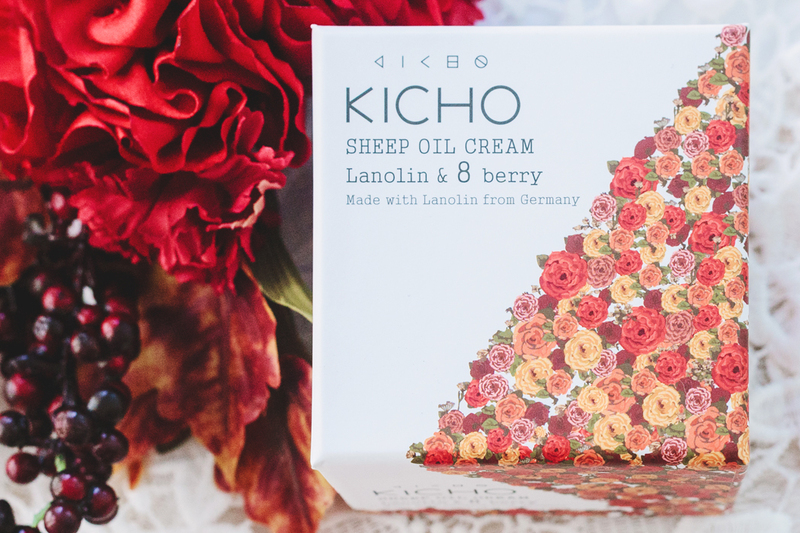 Kicho's Sheep Oil Cream is made from lanolin purified with German technology. (Again, the lanolin is extracted from the sheep's wool and not from any body part of the sheep!) The lanolin is combined with extracts from eight different types of berries including Sea Buckthorn fruit, Strawberry, Blackberry, Cranberry fruit, Blueberry, Raspberry, Acai palm, and Goji berry. 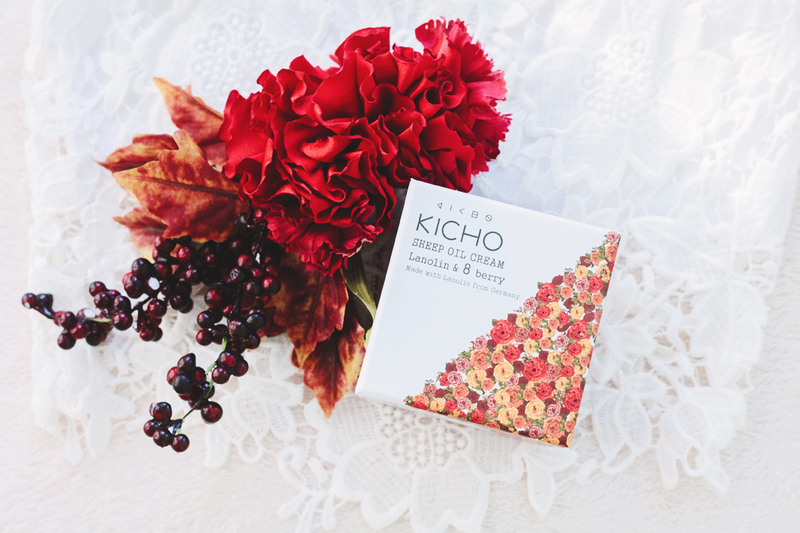 These berries contain countless multi-vitamins with anti-oxidizing properties for brightening and soothing the skin. 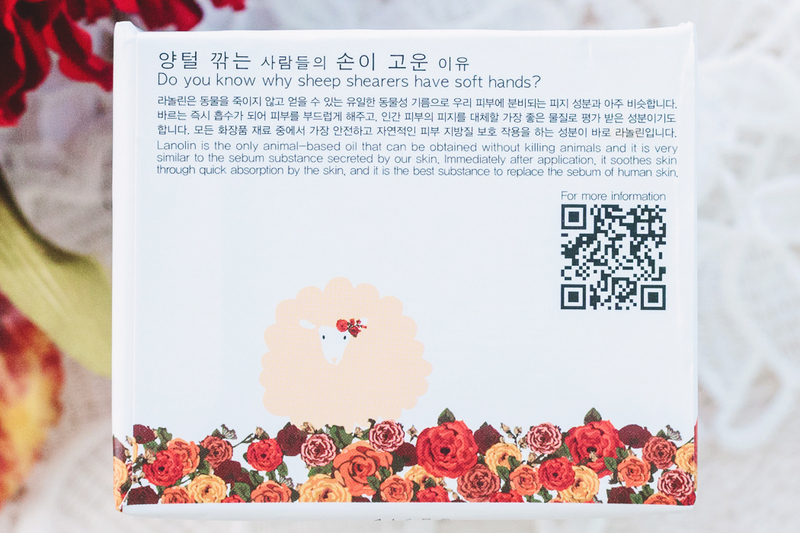 The Sheep Oil Cream is also free from TEA (Triethanolamine), artificial scents, mineral oil, isopropyl alcohol, parabens, urea, heavy metals, and formaldehyde. There are still a handful of potential acne triggers and irritants present, but they're all marked fairly low this time (1~2), which is great! Good job, Kicho! You can check out the COSDNA analysis here. 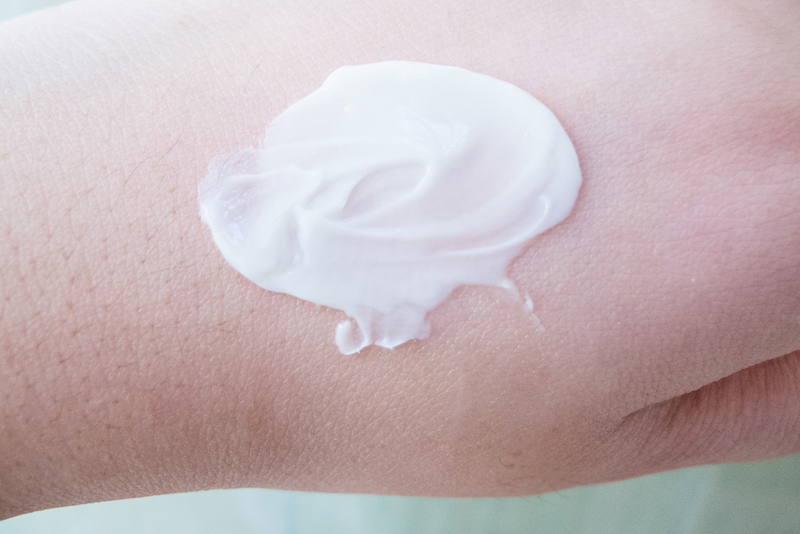 The texture is quite buttery and custard-like (which, I realized just recently, is the texture I prefer for creams). I'm always worried about using creams because they tend to give me clogged pores, as I have oily skin. Plus, since I'm living in a country where it's humid all throughout the year, creams can sometimes feel too heavy. I didn't have that problem with this cream. It absorbs very quickly into the skin and doesn't feel greasy at all! That said, I still feel that this would be too heavy for oily-skinned people living in tropical countries, such as myself. So instead of using it as my main moisturizer, I use it as a final step in my evening routine, as a sleeping pack to seal all the moisture in. 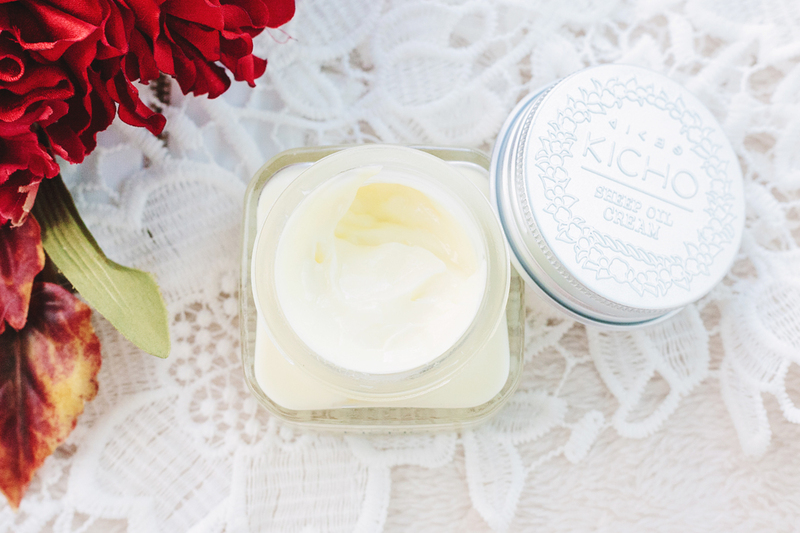 This cream has a mild, fruity scent that isn't overpowering. Sometimes though, the smell reminds me of some sort of mint? So strange! Either way, both are scents that I really like! For 65ml of product, ₩58,000 / $58 (~P2900) is crazy expensive! But that's to be expected, as lanolin itself is quite expensive. 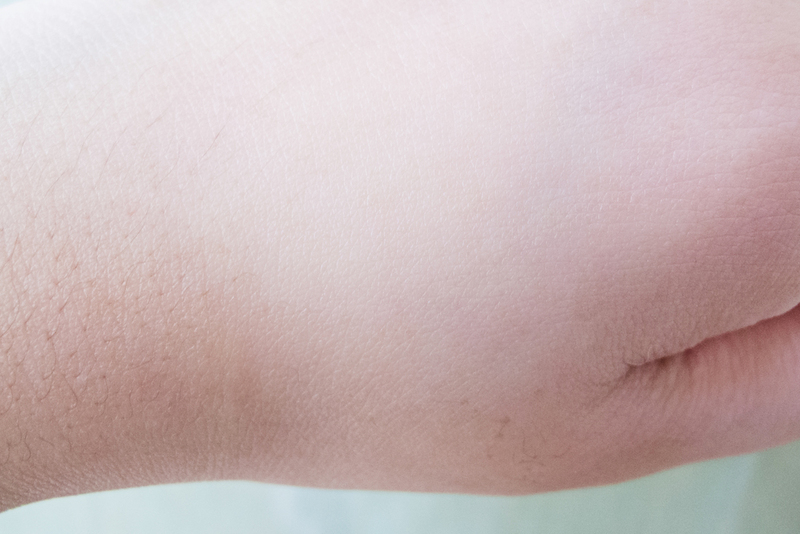 All skincare products with lanolin tend to have a high price point. 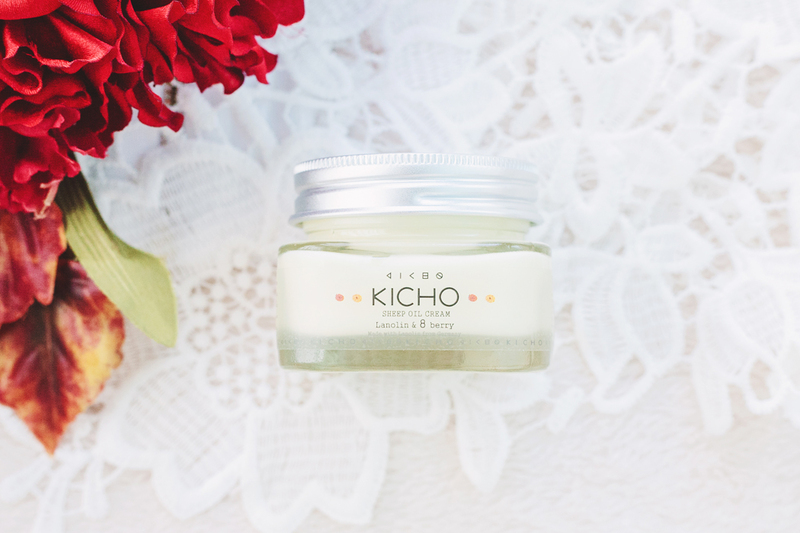 KICHO isn't locally available in the Philippines, but you can purchase this product directly from their global site here for $58. It's also available on Peach & Lily and Ohlolly, also for $58. I am in love with this cream. I love it! That said, I used it in the morning once and it made me look quite greasy by mid-day, so for those with oily skin, I don't think this is the best choice for an AM moisturizer. Use it in the PM instead. I use it at night as a sleeping pack, and it always leaves my face feeling soft and bouncy the next morning. The only drawback is that it's SO EXPENSIVE for such a small amount of product, which is really sad because I'll have a hard time finding something to replace it once I use it up! Right now I'm trying my best to use just a tiny amount at a time ;____; But if money isn't a problem for you, and if you have dry or dehydrated skin, I highly recommend giving this product a try. Definitely worth your money.